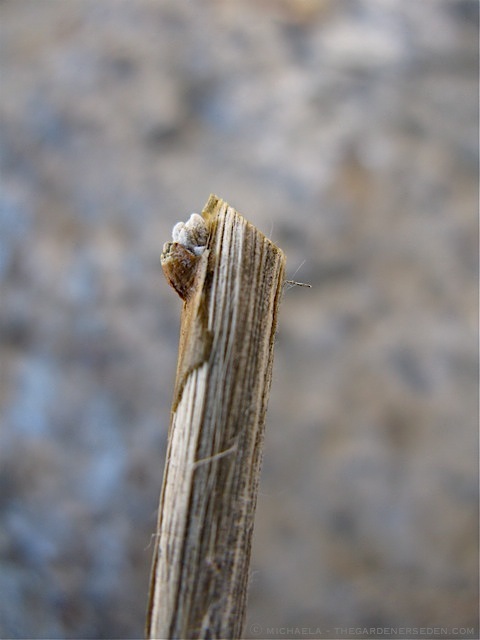 Although the old “prune in June” rule applies to certain woody plants in some situations —-those that blossom in early spring, such as lilacs (click here for how/when to prune lilacs) or the removal of suckers from the base of tree trunks, for example— and of course broken branches can and should always be removed whenever they are noticed, major structural pruning of deciduous trees and shrubs is best tackled during winter dormancy. I love winter pruning tasks, and find that warm, sunny days in late February, March and even early April (depending upon your climate, of course) are perfect for shaking off cabin fever and getting back in the garden! But, before you start cutting, take the time to clean and sharpen your tools, and take a long walk around the garden; examining the skeletal form of your plants while keeping an eye out for winter damage caused by heavy snow-loads, ice and wind. 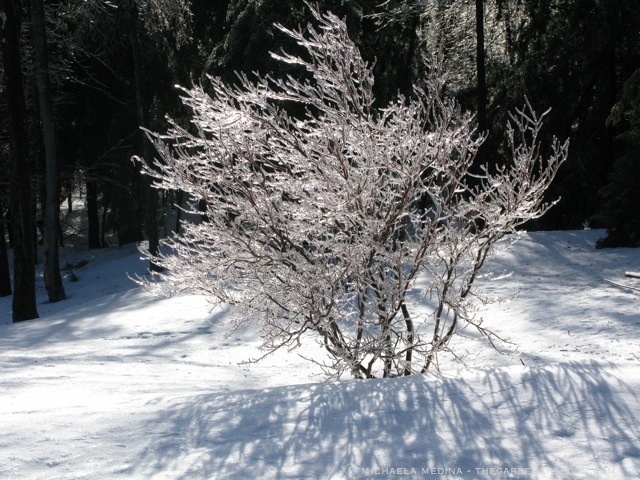 See any cracked branches or snapped limbs on your ornamental trees and shrubs? Any damaged trees or large shrubs located near power lines should be dealt with by a professional landscape contractor or arborist. 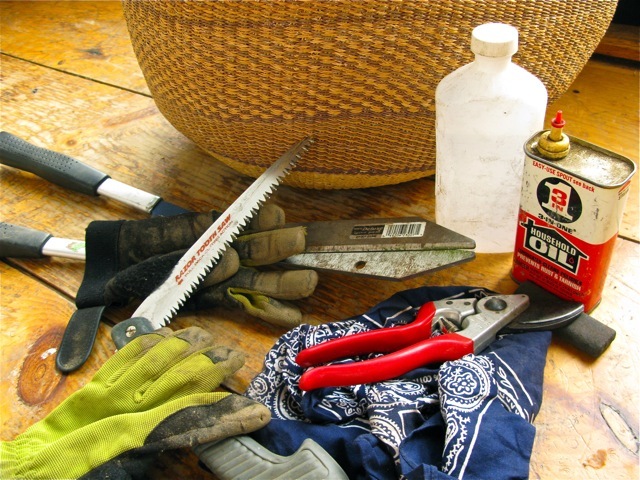 But small pruning tasks —especially those within easy reach— can be handled by most gardeners at this time of the year. 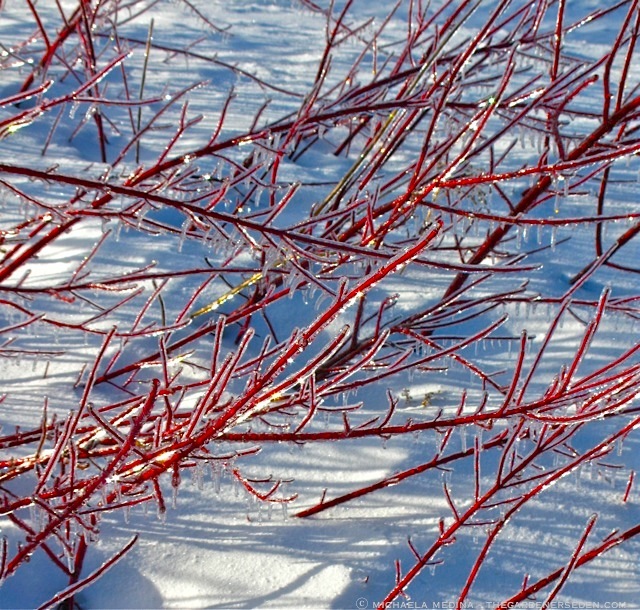 Red Twig Dogwood Adds a Beautiful Glow to the Winter Landscape. I Thin 1/3 of the Stems Each Year —Cutting Each Shoot All the Way Back to the Ground— in Late Winter or Early Spring to Encourage New Growth with the Beautiful Bright-Red Bark! (Of course, always wait ’til the ice melts before pruning branches and limbs). Much as I love sculpting trees and shrubs to achieve their finest form for my clients, I get even more excited by the opportunity to teach other gardeners how to correctly prune the woody plants in their home landscapes, all by themselves! 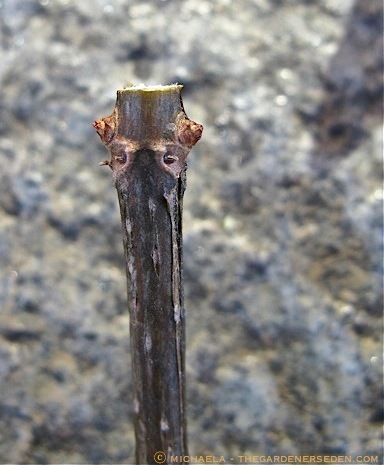 And as intimidating as it may seem, there’s nothing complicated about the process of pruning. A good book (such as this favorite by Lee Reich), a sharp pair of bypass pruners, and a broken branch or forgiving/neglected old shrub are all you really need to get started. 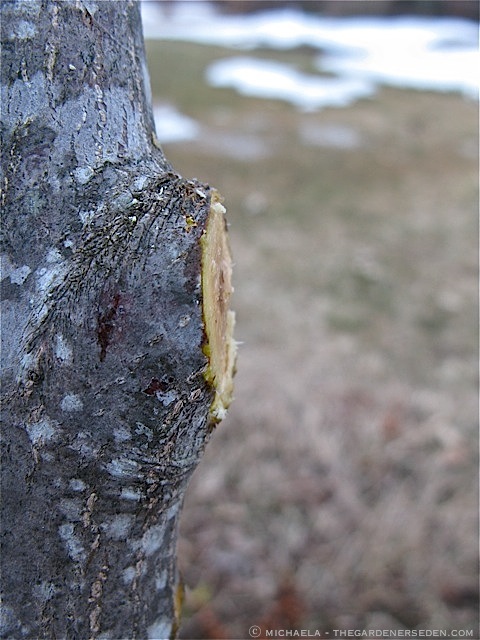 For an introduction to pruning basics, travel back to a post from 2009 by clicking here. 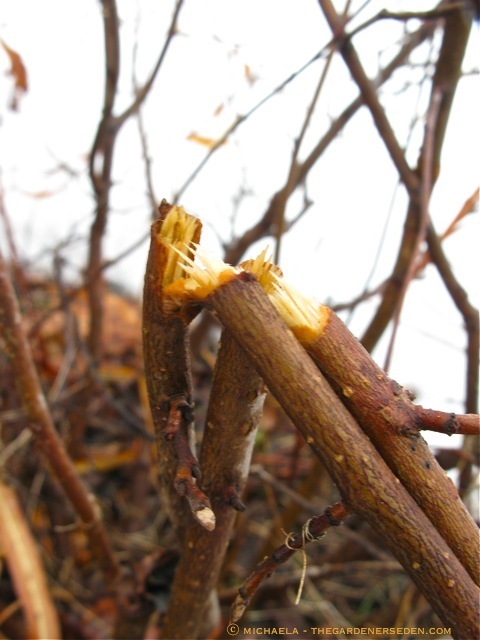 Below are three basic pruning cuts to practice. Remember, always clean and sharpen blades between specimens. For more specific tips, begin by revisiting my previous introductory article, and the cut-specific posts linked below! Removing a Broken or Damaged Limb: Learn how to correctly make this cut with a Grecian Saw: click back to a detailed, tutorial post by here. Learn how to properly prune plants with opposite budding patterns, like this Hydrangea, by clicking back to my tutorial post on the subject here. Shrubs and trees with alternate budding and branching patterns require a slightly angled cut, sloping away from the bud. Learn more about how to prune alternate branches in my previous post here. 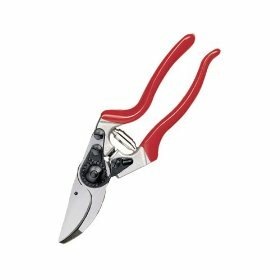 Felco 8 bypass pruners are the perfect tool for tending to the small branches of ornamental trees and shrubs as well as fruit-bearing woody-specimens in your landscape. 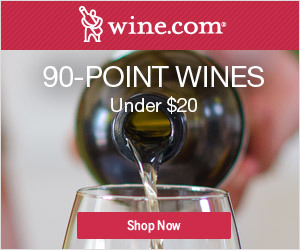 Click here for more pruning tool suggestions. 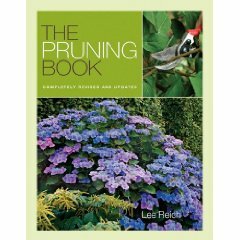 Lee Reich: The Pruning Book – I Consider This Book an All-Time, Garden-Maintenance Classic! You are currently viewing the archives for February, 2012 at The Gardener's Eden.